The Catalan Pyrenees are an exceptionally beautiful region of dramatically rugged mountains and steep, green alpine valleys dropping to smooth lakes. In summer this makes the perfect backdrop for hiking and climbing and in winter the ski regions open their doors. As well as being a playground for sports-folk, the Catalan Pyrenees is also a place with a fascinating cultural heritage. In addition to the traditional chalets and five star ski resorts some of the best places to stay in the Pyrenees are little B&Bs dotted through the smaller hamlets. The Pyrenees mountains cross over into France and there's a unique blending of cultures here. It is most obvious in the lilt of the language and the flavours of the food. You can also see it in the architecture, especially the Romanesque churches and old monasteries on their precarious perches. The Vall de Boí is an especially rich area for Romanesque architectural pickings. But as you are travelling through the region you'll find some some fascinating examples in some of the tiniest little communities. An ideal way to discover this beautiful region is on foot. Take a walking tour and explore gorges and canyons, flower filled meadows and deep forested valleys. For more information and routes check out Walkopedia. Our pick of the best places to stay in the Pyrenees are perfect bases for those who want to enjoy all the outdoor activities that this stunning region has to offer, or for those who are simply looking for a gastronomic getaway. Ski or board at one of the many ski resorts across The Pyrenees. Explore the endless scenic hiking trails with options for all abilities. 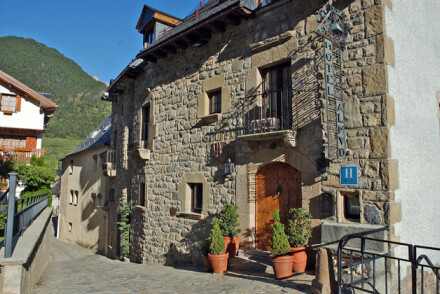 Visit the beautiful Roman architecture at the Vall de Boí. For the adventurous try your hand at climbing. 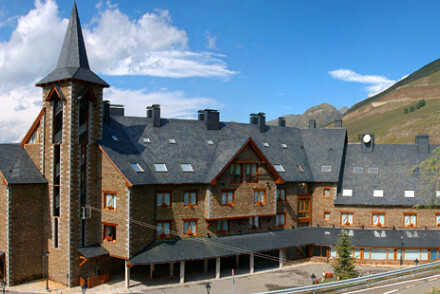 The AC Baqueira Hotel & Spa is a contemporary, five star hotel in the Catalan resort of Baqueira, one of Spain's premier ski regions. Stay here and you'll be right by the slopes and just 50metres from the cable car. You will have access to some lively nightlife, DJs, a cigar bar and a log fire for your chill out window. Also in Baqueira, La Pleta is a fairytale chalet with a collection of four restaurants, from gastronomic to more relaxed, a luxurious collection of spa treatments and a range of activities on offer - both for the ski season and for the summer season. Hotel Almud offers cosy rooms, mountain views and is the perfect base for indulging in numerous outdoor activities from climbing to caving. La Casuena is nestled at the foot of the mountains and is ideal for those wanting to experience this region on a budget. Rustic chic interiors, plus excellent restaurant and all from just €80 per night. 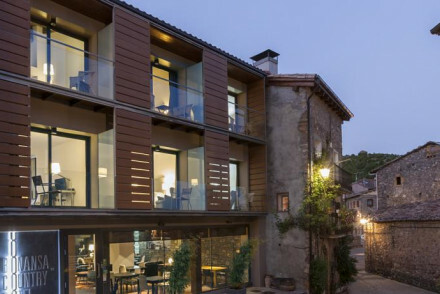 Torre del Remei is of architectural interest as well as being one of the best places to stay in the Pyrenees for foodies. The building is Art Deco - Gaudi style and the food is fabulous with many of the ingredients sourced from the property's own organic garden. 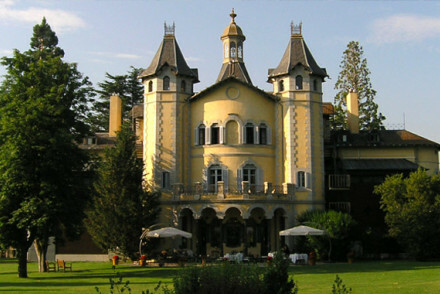 Hospes Villa Paulita boasts stunning views over Lake Puigcerda, superb spa facilities and a gourmet restaurant. The Pyrenees (in Spain) are served by seven well connected airports. Best time to visit -' The Pyrenees' covers a large area so we recommend you check the local weather reports when booking your holiday however on the whole expect snow from December through to March and the summer months of June - August will be the most temperate. 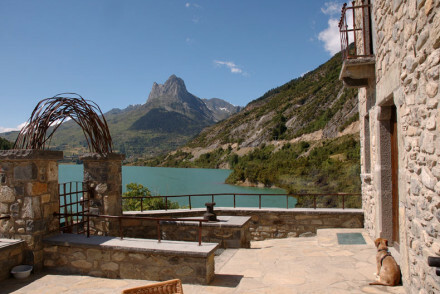 Browse through our list of all the best places to stay in the Pyrenees. Widen your search to look at all our recommendations in the Alps. A delightful and traditional hotel in a small village. Unique rooms are cosy and elegant with wooden floors, antique furniture, and brightly painted walls. Views of the mountains, intimate bar area. An ideal choice for an active holiday exploring the mountains in the fresh air. A charming and rustic hotel nestled at the foot of the Pyrenees, beside a lake, and a few kilometres from the ski resort, Formigal. Large rooms have wooden floorboards and attractive furnishings. Excellent regional cuisine and access to fantastic mountain fresh air and sport. Views - Set in the beautiful Valle de Tena. Sights nearby - Monasteries San Juan de la Peña , Santa Cruz in the serosa , and San Pedro de Siresa, all great samples of Romanesque Aragon . A mountain get-away set in a fairytale chalet in the heart of the Pyrenees. A plethora of mountain activities, a candlelit menu of spa treats, and gastronomic feasts in one of the four restaurants. A destination for thrill seekers and/or spa breaks. Other Activities - Heliskiing, mushing (dogs and sledges), snowmobiles, hiking excursions, white water rafting. Resort - A resort for all summer and winter activities in the mountains. Valley location - Aran-Pyrenees Valley. 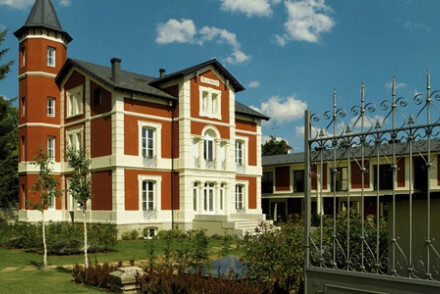 Luxurious hotel in the Pyrenees featuring contemporary decor, an on site spa, stunning views and its own restaurant. There are plenty of outdoor activities available nearby for those in search of an action packed holiday. A great little find. Skiing - Situated at the bottom of the slopes, just 50m from the cable car. 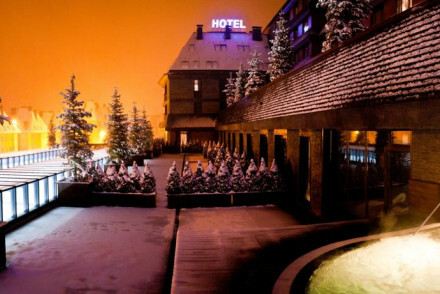 Luxurious hotel just 50m from the ski lift. Large, cosy sitting room for relaxing with a drink and top notch spa & outdoor hot tub for easing weary limbs. 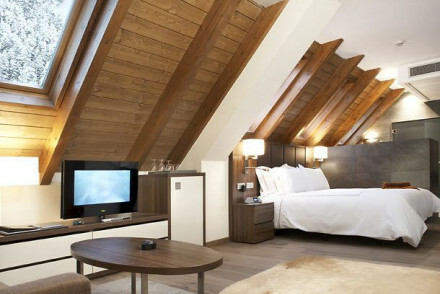 Rooms are contemporary in style with plenty of exposed wood for an alpine feel. Various restaurant choices and one especially for kids!